CamaroNews – AutoBlog was the first to catch these images courtesy of Chris Done photography. 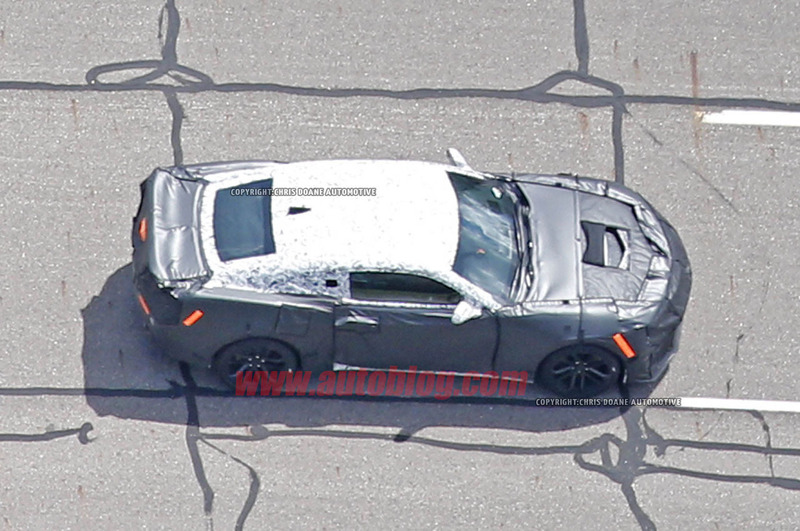 Read the article on their website and this for sure looks to be a ZL1 CamaroSix to us! With work complete on the lighter, stiffer 2016 Camaro, it’s time for Chevrolet’s engineers to really start having fun by developing the next, ZL1 version. Here it is for the first time. Unfortunately, the muscle car is still wearing quite a bit of camouflage, but the concealment isn’t enough to hide some of the meaner model’s more obvious performance tweaks. Starting from the front, this Camaro now wears a much more aggressive front fascia with bigger air inlets. Managing the airflow around the engine bay is clearly a big deal because another photo reveals a fairly large extractor in the hood, as well. Moving down the profile, the lower side sills and orientation of the camo suggest some blistered fenders in the back to cover wider rubber, and at the very rear a much larger wing further suggests the need to keep things planted to the road. Check out the comparison images in the gallery for a better look at the tweaks. What will power the next ZL1 is still entirely a mystery, although sticking with a supercharged 6.2-liter V8 could be a possibility, especially if you take the big extractor in the hood as a hint. 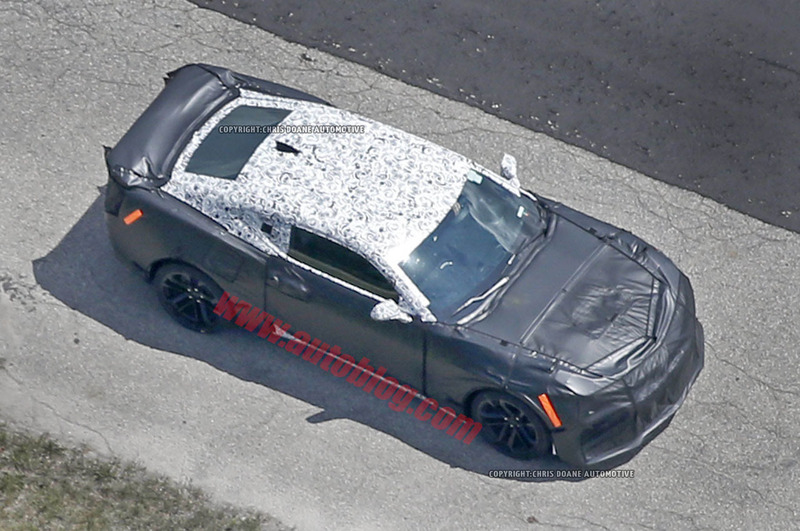 Whereas the current ZL1 makes 580 horsepower and 556 pound-feet of torque, the LT4 in the latest Cadillac CTS-V pumps out 640 hp and 630 lb-ft. 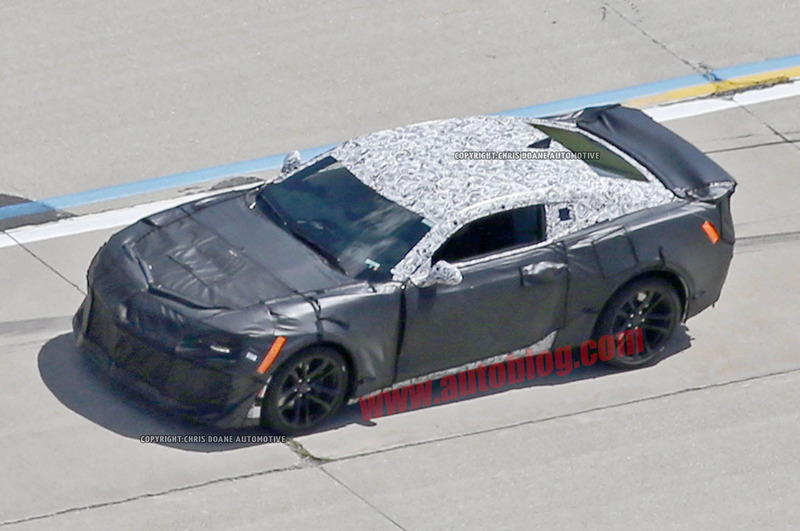 Combined with the Camaro’s other improvements, we’re thinking that this new ZL1 will be quite a hot ticket, and based on these spy shots, we can’t wait to find out.